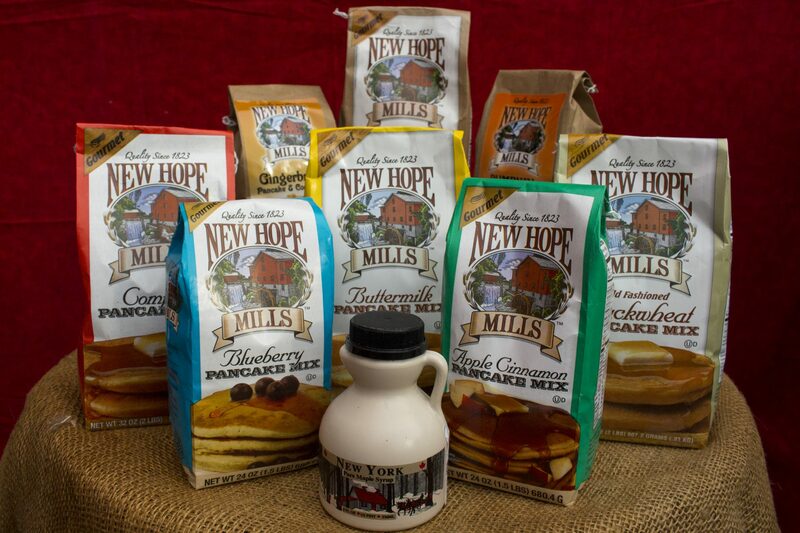 What says ‘good morning’ better than a stack of light, fluffy pancakes, made with New Hope Mills Pancake Mix? New Hope Mills provides the number one pancake flour in Central New York, and with good reason: These old fashioned pancakes will keep your mouth watering long after breakfast is over! A superb quality mix made from first grade unbleached, unenriched flour of the same fine quality famous since 1823. Milled from select grains and blended with the best known ingredients.